Rallied to the barricades by Common Cause in Wisconsin Executive Director Jay Heck, citizens and newspapers across the state successfully pressured the Legislature to preserve adequate funding for the Government Accountability Board to pursue investigations of official wrongdoing. State Senate Majority Leader Russ Decker, D-Schofield, had attempted to alter the funding mechanism so that the GAB would be subject to legislative interference. Under Decker's scheme, the agency would have been placed in a position where it would have had to come to politicians like Decker to ask for funding to investigate the high crimes and misdemeanors of politicians like Decker. No, we're not accusing the majority leader of criminal wrongdoing, just pointing out that he connived to make it harder to identify and prosecute criminal wrongdoing by majority leaders and their ilk -- hardly an inconsequential matter when we consider that one of Decker's recent predecessors did some jail time. Decker's assault on the GAB was a recipe for disaster. Heck got the word out to Common Cause activists and their allies. He also informed newspapers that Decker's attempt to end "sum sufficient" funding for GAB investigations would "undermine the board's independence and ability to investigate possible wrongdoing." The Capital Times weighed in, which is no great surprise. But so too did newspapers from across the political and ideological spectrum, including the Milwaukee Journal Sentinel, the Green Bay Press-Gazette, the Janesville Gazette, the Sheboygan Press, the Appleton Post-Crescent, the Oshkosh Northwestern and the Wausau Daily Herald. Even the Wisconsin State Journal took time away from its usual griping about how the Legislature is not bending enough to big-business interests and did the right thing. The united front had an impact. The Legislature's Conference Committee brokered an agreement between the Assembly and Senate leadership to resolve the differences in versions of the biennium state budget each had passed. Assembly leaders played an essential role in getting Decker to back off. But no one should doubt that their task was made easier by the chorus of complaint that Jay Heck succeeded in raising. Watch as CC/WI executive director Jay Heck explains why he is troubled by the state budget process, and discusses the more promising prospects for real campaign finance reform in Wisconsin on Up Front, the public affairs/news television program hosted by Mike Gousha. Call lawmakers today and demand open budget process. Common Cause in Wisconsin director Jay Heck says, "Sen. Decker should apologize to the citizens of Wisconsin and just drop this ill-advised, misbegotten scheme and move on. And if he hasn't or won't drop it, then Assembly Democratic leaders and Gov. Jim Doyle should declare the Decker amendment 'out of bounds' and off the table as a precondition to working out the rest of the differences in the budget between the two legislative chambers." Jay Heck, executive director of Common Cause in Wisconsin, said the “outrageous” Senate action would “seriously impede” the board’s work. 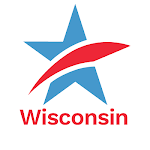 Any negotiations on reaching a budget deal now should be done in the open in a conference committee, said Jay Heck, executive director of government watchdog group Common Cause in Wisconsin. "The less public it is, the less confidence citizens have in the end result," he said. "When citizens are left in the dark, they think the worst about the process." Common Cause Wisconsin director Jay Heck says the change undermines the independence of the board and could hamstring investigations. Jay Heck, executive director of Common Cause in Wisconsin, said Assembly Democrats behaved just like Assembly Republicans, who controlled that half of the Legislature for a 14-year period that ended in January. Legislators of both parties have been adding "pork barrel" projects to state budgets for decades, Heck said. "Having been 14 years out of power creates a lot of pent-up desire and demand for goodies denied them when they were in the minority," Heck said. "Those two powerful factors overwhelmed any inclination to resist 'porking up' the budget." "The only difference is that there is less money to do so than in past budgets," Heck said. Assembly Democrats announced they were canceling the fund-raiser as they wrapped up a seven-hour closed-door meeting to discuss the state budget they hope to take up this week. The budget closes a record $6.6 billion shortfall over two years by cutting aid to state and local government and raising taxes by $2 billion. "Now they seem to understand that's bad politics," said Jay Heck, executive director of Common Cause in Wisconsin. "I applaud them for making the decision to cancel it. It demonstrates they're responsive to what the public thinks." Common Cause and other good-government groups cheered the Assembly in February for passing the ban, saying it removed the appearance that legislators would sell their votes to special interests. But those same groups said in recent days legislators looked like hypocrites for scheduling the fund-raiser. "An event like this is what makes people hate politics and (feel) cynical about politicians," said Jay Heck, executive director of Common Cause in Wisconsin. Heck and others who lobby for campaign finance reform have long contended that raising campaign cash during the budget process creates the appearance that special interests can buy budget provisions. Assembly Democrats said their ban doesn't apply to raising money for the committee, one of the main tools Democrats will use in next year's elections to try to protect their thin majority. Leaders are making "an end-run around their own rule," Heck said. "It's like they're trying to fool themselves and in the process, fooling nobody."